HALEYVILLE - A teenage son--allegedly upset over restrictions placed on him by his parents--will be tried as an adult for the murder of his mother and the attempted murder of his father on Sunday night, Nov. 10, in the Haleyville area. The charges come after the incident at the family residence on 334 Slaughter Pen Road in the Haleyville area of Marion County. Marion County Sheriff Kevin Williams said late Monday afternoon, Nov. 11, that Travis Montgomery, 16, was arrested on charges of murder and attempted murder around 11 a.m. that day at the Royal Oaks Apartments in Haleyville. 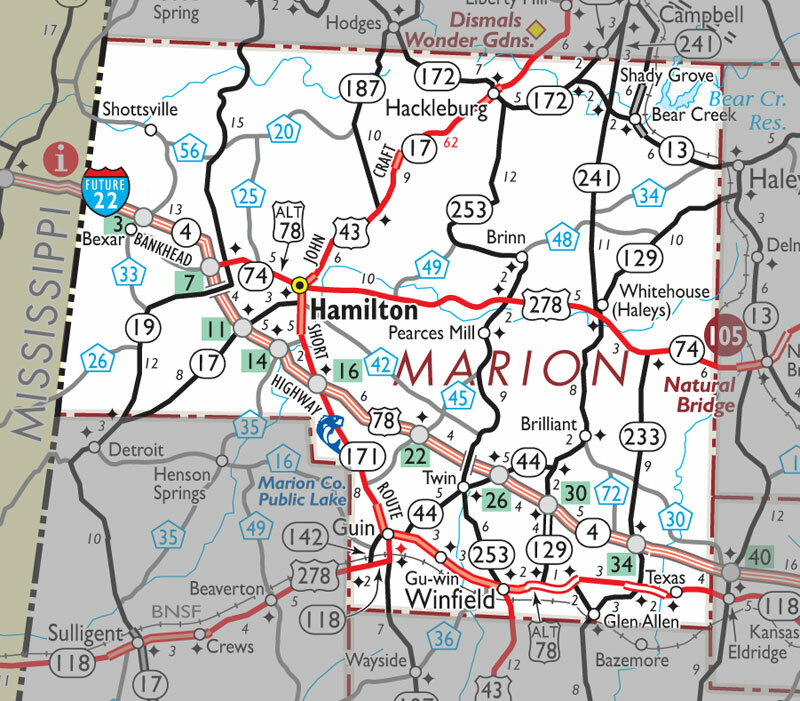 He was being held at the Marion County Jail in Hamilton that afternoon with no bond set. Williams said he would likely go before a judge the next morning, on Nov. 12. His mother, Renee Montgomery, 46, died in the incident, while the father, Wade Montgomery, 49, was airlifted to UAB Hospital in Birmingham where he was in stable condition as of Monday afternoon. The mother was dead on the scene when found by authorities. However, Williams said Montgomery was partially paralyzed as a result of the stabbing and had suffered a collapsed lung. “I’m sure he is going to have some surgeries," he said. Williams said on Nov. 11 his office got a call about 4 a.m. that morning concerning “multiple stabbings" at a residence. “It started around 11 p.m. last night (Nov. 10)," he said, saying both parents were in bed. Mrs. Montgomery got up and went to the living room area and “got into an altercation with the son.” Travis Montgomery stabbed his mother first, Williams said. The father woke up and heard some commotion going on, he said. Before he could get out of bed, the son went back to the bedroom and stabbed the father while he was in bed. “He couldn’t get out of bed; he was just lying there," Williams said. “The mother died in the hallway of the mobile home," Williams said, noting the son left the scene in his father’s 1979 Ford pickup. The father got out of bed, made it to the living room but had no service on the phone to call for help. finding Mrs. Montgomery dead in the hallway and the father lying in the living room. “It’s amazing he’s still living," Williams said. The Haleyville Police Department, the Haleyville Fire Department, the Bear Creek Police Department, the Marion County Sheriff's Department, and the Marion/Winston District Attorney's Office responded to the scene. Williams said investigators were unable to recover a weapon that was used. “(Travis Montgomery) carried it with him and we haven’t located it at this time," he said. “He had made it to his girlfriend’s house and left in the pickup," before leaving the pickup behind on the roadside, Williams said. Haleyville officers found him there “with some acquaintances" and then arrested him there without incident, Williams said. He said investigators interviewed Travis Montgomery but he declined to give any kind of statement. The Marion County District Attorney’s Office was considering capital murder charges Monday afternoon, he said. As to what the argument was about, Williams said the parents had some type of problem with the youth recently. "I was actually told they had put some restrictions on him, and I don’t know what they were,” he said, although Troy Montgomery was “mad” about the restrictions. “I understand from the family members who live up there that he was really upset at his mother, for some reason or another, more so than the father,: Williams said. The son will be 17 in January, Williams said, noting he will be tried as a adult due to the severe nature of the crime. Williams said to his knowledge, he did not know of any mental issues Travis Montgomery has. Birmingham TV station Fox 6 quoted “a relative of the family” as saying Travis Montgomery was supposed to go to an anger management class on Monday but didn't want to go. Williams said he had heard that report but did not know it for a fact.